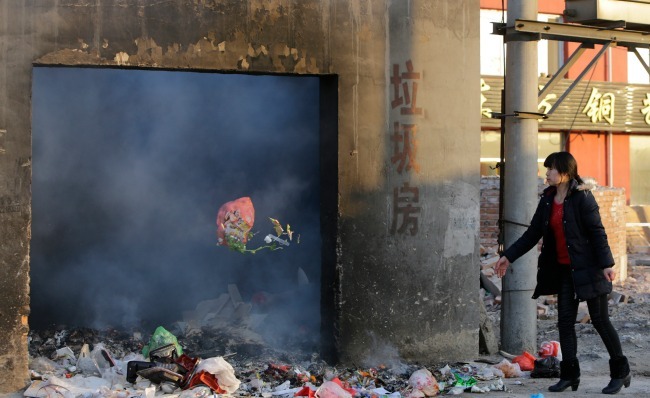 Is Pollution Causing Infertility to Rise in China? The country's environmental problems may be interfering with programs to encourage childbirth. Longtime opponents of China’s one-child policy can stick this feather in their cap: Infertility is rising and at this point, the causes can’t be easily reversed. Last week, Chinese scientists from three universities and a government think tank, the Chinese Academy of Sciences, said they would be launching a five-year study into the relationship between pollution and female infertility. Although China’s infertility rate is likely still lower than the average for developing countries, it’s particularly a problem in the context of China’s growing population woes. Decades of the one-child policy, which restricts most urban couples from having more than one child, have left China with a disproportionately large number of old people, a yawning gender gap, and a workforce set to start shrinking by 2025. Scientific research has established that exposure to high levels of chemicals at farms and factories can cause infertility. But less is known about how much being exposed frequently to low levels of “environmental disruptors” affects one’s hormones. Last year, researchers found that exposure to certain pesticides, perchlorinated biphenhyls, also known as PCBs, used in coolants, and industrial compounds could reduce a couple’s ability to have children by as much as 29 percent. The coming Chinese study will analyze the presence and impact of pesticides, plasticizers, and bisphenol in women’s blood and urine.